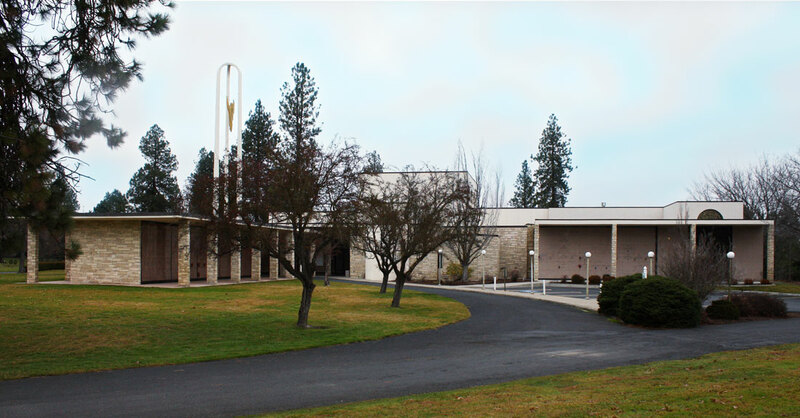 One of three Catholic cemeteries in the Spokane area, Holy Cross Cemetery and Mausoleum is by far the largest at close to 77 acres. 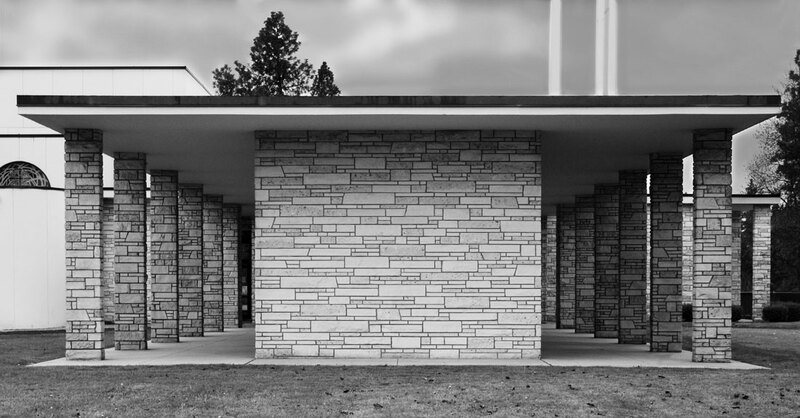 Its namesake Mausoleum and Chapel is designed in the New Formalist style, which emerged in the 1960s and is most often seen in civic and commercial architecture. 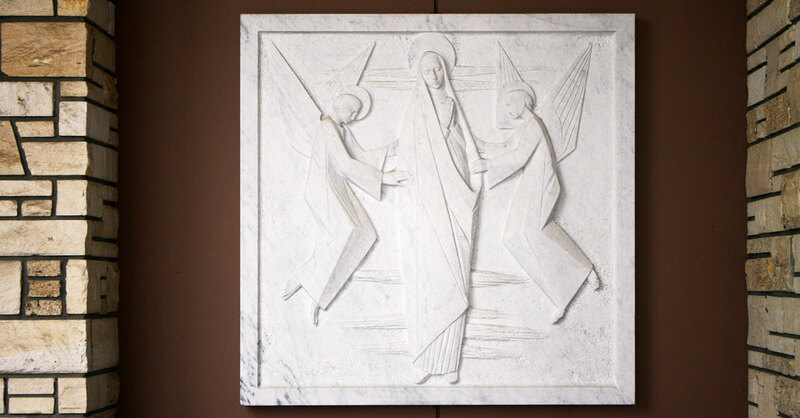 It applies the formal geometries of classicism in new forms, materials, and decorative expressions. Buildings designed in this style often display simple volumes on a raised base, one story or more in height. Formal rhythms are applied with colonnades and pilasters, as seen in the arcades of this building, or applied decoration may be seen in the form of patterned screens or grills. Either form may incorporate geometries that express an overall pattern, akin to an egg crate. 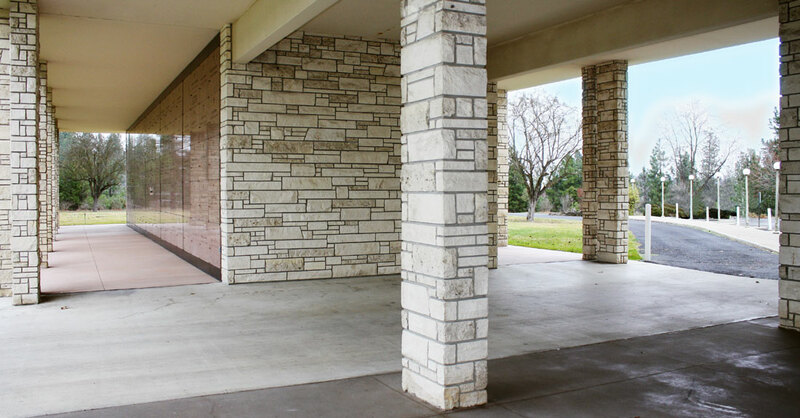 The plastic qualities of concrete are also often expressed. 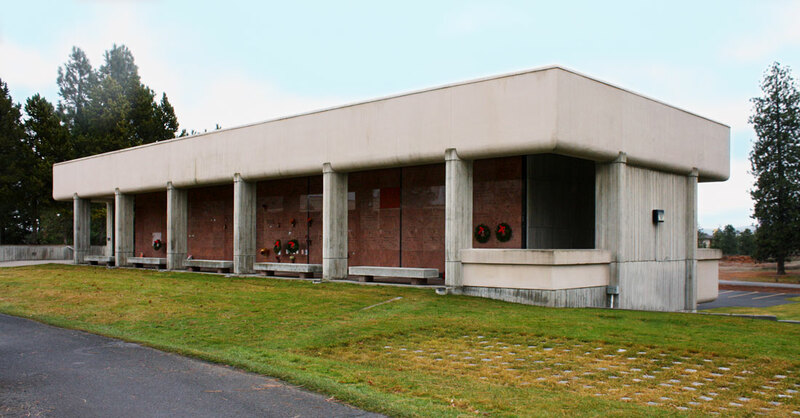 One important way in which the Holy Cross Mausoleum and Chapel departs from the New Formalist style, however, is that its interior functions are expressed on the exterior of the building, e.g. 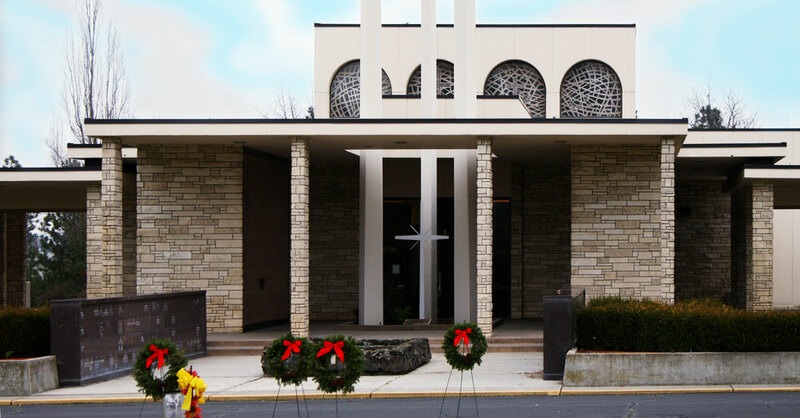 the rounded forms of the niches, visible on the exterior, and the raised roofs that allow exterior light through the stained glass windows, which in turn enhances the chapel and niches. In contrast, Classical buildings often sacrifice the expression of interior functions to the overall exterior form and symmetry of the building. John Warren Carkin was born April 10, 1922 in Medford, Oregon. A graduate of the University of Oregon School of Architecture, he served in the U.S. Army during World War II in England and France, where he was wounded. In 1958, he began his architectural practice in Salem, and was joined not long afterward by fellow Oregon alum Robert Sherman. Carkin & Sherman designed more than 40 buildings and 50 remodels around Salem, including the master plan for Chemeketa Community College and numerous buildings on campus, the U.S. Post Office on 25th Street, and McKay High School. The firm is today known as AC + Co Architecture | Community. 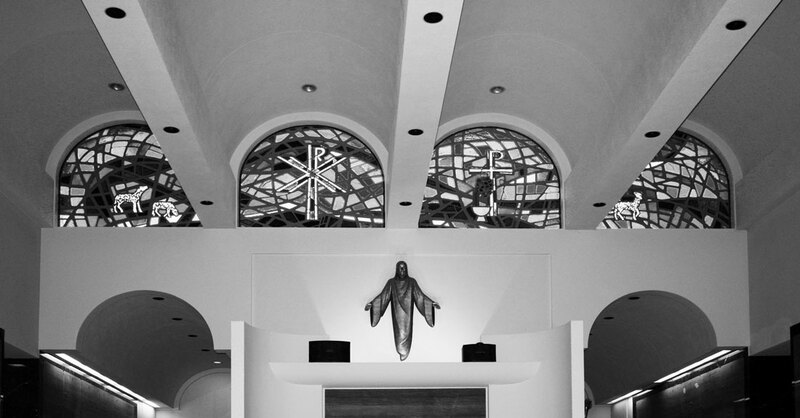 Sherman later practiced architecture in Las Vegas, Nevada as Sherman Architecture; Carkin died September 17, 2015, in Salem at the age of 93.